I am an innovative and experienced educator who believes that students of all ages can achieve amazing results with the right teacher! I graduated in 2009 from Harvard College with a degree in History and Literature and I most recently graduated from the Harvard Graduate School of Education with a Masters in Education. I have four years of full-time classroom teaching experience and I have received both teacher (NH, K-8) and administrator (MA, K-12) certifications. I spent four years working in an international school in Turkey where I served in various positions including ESL teacher, Educational Technology Integration Specialist/Teacher (K-5) and Grade 3 Classroom Teacher. I also worked in the Conservatory Lab Charter School in Boston where I served as a principal intern and gained valuable experience as a school administrator. I started working as a full-time tutor beginning in June 2014, although I tutored part-time previously at Harvard University’s Bureau of Study Counsel, at the Harvard Summer School Tutoring Program (2008) and at my high school (in 2004 and 2005). I specialize in K-8 Elementary Education, all subjects including mathematics, language arts, social studies, and science. Having taught ESL students abroad in Turkey, I have lots of experience in scaffolding instruction for ESL students. I enjoy learning languages and I have studied Russian, Turkish, German, Classical Armenian, Latin, and Classical Greek. This thorough study of diverse languages allows me to understand the structure and grammar of English and other languages so as to explain them in a simple, understandable way. 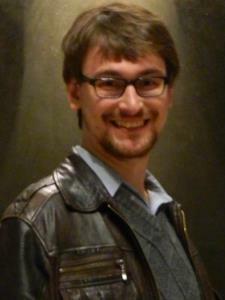 I currently tutor several middle school students in Latin in Boston-area independent schools. One of my students increased his Latin grade significantly only after a short time of working with me. I provide comprehensive test prep services for the SAT, GRE, GED/HISET, ISEE/SSAT, MCAS, TOEFEL iBT, and MTEL. I work with students who are eager to make strong gains in their conceptual understanding and test scores. I have coached my students achieve significant improvements: two of my students achieved 200+ point gains on the SAT and another student achieved a 6 point gain on the GRE. Another of my students passed the HISET/GED Math test after just two months of lessons with me. Having scored very high on the SAT (Perfect 800 on Math) and GRE myself, I know the strategies and techniques to coach my students to do the same. High school/Grad students I worked with in the 2014-2015 and 2015-2016 school year (either on their essays or on test prep) gained admission to schools such as MIT, Duke, Middlebury, Cornell, USC, Tulane, Bucknell, and other very selective schools. Having studied History and Literature at Harvard College, I also regularly tutor students in high school World History (Honors and AP), European History (AP), APUSH, AP English and Literature, High School English and College Prep Academic Essay Writing. I guide students in mastering grammar, usage, structure, and vocabulary. One of my students recently improved her writing grade to an A after only a couple of weeks working with me. I believe that it is never too early to begin learning the art of writing well. I believe that education should be holistic and include heavy doses of creativity. I am a strong advocate for music/art education. I have had 10 years of classical piano training and have played publicly at my churches for 10 years. I provide piano lessons for beginning and intermediate students and enjoy working currently with several promising pianists. I strive to build strong relationships with my students so that they can in turn make lots of progress in their studies. My students characterize me as a patient, fun, and demanding teacher. I guide my students to think deeply to understand the fundamental concepts underlying any subject. I offer competitive GRE tutoring for students who are trying to make substantial point increases in short periods of time. I have worked with a number of students who sought admissions to some of the most competitive grad schools in their fields. One of my students increased his Quantitative Reasoning score from a 157 to a 163 after working with me for about 2 months. In order to create a game change for this student, I discovered the areas for improvement and the student did hard practice problems from GRE prep books such as the ETS Official Guide to the GRE Revised General Test, The Manhattan Prep Five Pound book, and practice problems from the Magoosh blog. I am able to explain strategies and approaches for all types of problems. I require that my students do challenging, carefully-selected practice homework sets so that they can achieve their goals. I received the "English in the Mainstream" Certification through the program from the Government of South Australia. I worked with ESL students for 4 years at an international school. For my fist year, I developed an ESL curriculum for students in Grades 1-5. I worked with a class of Grade 1 students who had little to no English skills. Later, I worked as a Grade 3 teacher and helped English Language Learners develop their language skills through the mainstream curriculum. I am receiving my Sheltered English Immersion (SEI) Administrator's Endorsement this year through my principal licensure program at the Harvard Graduate School of Education. Every language has a grammar, a set of rules that govern how the different meaning parts fit together. In some languages, the verb goes at the end of the sentence. In other languages, nouns have gender and the articles (a, an, the) are used differently than in English. Having worked as an ESL teacher, I have training in making clear and simple the rules of English to all learners. In elementary school, my English teacher's favorite grammar book was John E. Warriner's English Composition and Grammar. The two years that I spent completing drills and exercises in this book made the grammatical rules of the English language very clear to me. I am eager to work with you and make your knowledge of English grammar better! I took 4 years of Latin in High School. I received a 5 on AP Latin Literature and a 4 on AP Latin Vergil's Aeneid. I took a Latin course at Harvard. I tutored Latin at the Harvard Bureau of Study Counsel. During the Fall Semester 2014, I have been working with two middle school boys from private schools. One of the students improved his Latin grade from the B level to the A level while working with me. I have four years of full-time elementary teaching experience. I have taught all subjects (English, math, science, social studies, ESL). 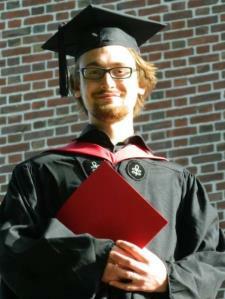 I am also a 2009 Harvard College alumnus in history and literature. I have taught elementary students for 4 years. I have taught mathematics according to the IB Primary Years Program (PYP). Through my elementary education program, I have studied the John Van de Walle approach to elementary mathematical pedagogy. I firmly believe that elementary students need plenty of time to develop the mathematical concepts through the use of manipulatives. Rather than simply memorizing algorithms, students should understand thoroughly the theory and the workings of the algorithm before they use it. I believe in the necessity of understanding and approaching mathematical problems from several different perspectives. I emphasize the importance of the problem solving method used rather than the specific answer. I build my students' mathematical toolboxes by showing them many different ways to visualize mathematical problems. Finally, I believe that math should be tied to everyday situations and real-world scenarios. In this way, students can see how mathematics is fun and around them all the time. Science is all about discovery and inquiry. Whether the topic is anatomy, ecology, states of matter, scientific properties of different types of elements, zoology, or botany, I lead my students to ask questions about why things in nature act the way they do. I love explaining clearly and concisely to children scientific concepts that, at first, seem complex. Having worked as a certified elementary teacher, I have experience explaining these terms. I'm especially good at helping students think about the different stages of the scientific method as they prepare science fair experiments! Proficiency in phonics and teaching phonics was one of the standards in my certification program for the New Hampshire Department of Education. I also taught phonics as an ESL teacher and as an elementary teacher. Having taught as a K-8 teacher, I have taught the full range of reading skills from phonemic awareness to early reading to elementary reading strategies to highschool/pre-college analytical reading. I am particularly skilled at teaching preK, kindergarten and grade 1 students how to read. I am trained in assessing student reading level, and I use the Fountas and Pinnell system to insure that students are reading appropriately-leveled books. I work with students on mastery of the appropriately-leveled Dolch sight words and I help students develop reading fluency and speed. I emphasize a common-sense approach to everyday literacy where vocabulary, phrases and grammar are applied to the context a child encounters each day. With modern technology such as the spellchecker, one might think that the teaching of spelling is outmoded. On the contrary, however, spelling is essential for a student's confidence in many aspects of literacy-based tasks in everyday life. Whether one is trying to look something up on the Internet, write a well-edited essay for publication, or look a word up in the dictionary, it is essential to know how to spell. With my background as an elementary teacher with training in phonics, reading, and literacy, I can help you learn the rules and exceptions for English spellings. One of my favorite resources for spelling rules is Camilia Sadik's book entitled 100 Spelling Rules. I look forward to improving your confidence in spelling. As a licensed teacher, I have worked with all of my students in how to better succeed at their academic work. Additionally, I have worked at the Harvard Bureau of Study Counsel and at the Harvard Summer School Tutoring office to help students prepare for college essay writing. Overall, I have worked with students on skimming and scanning texts, outlining the reading of chapters, taking notes, using calendars and planners to work towards short-term and long-term goals, and use schedules for organizing time use. Precision in written and spoken English is essential to every mode of communication. Additionally, having a large rich vocabulary can keep your writing and speaking fresh and dynamic. It is never too late to build a rich vocabulary. At the elementary level, building a rich vocabulary starts with reading challenging texts and books and looking up new words in the dictionary. I also like to use some vocabulary-building video resources that make the acquisition of new vocab fun for young learners. At the high school, college, and professional levels, having a rich vocabulary is essential for mastering any content area. I love to work on the Latin and Greek roots that form a high percentage of advanced English vocab. I use several books that help with the development of vocabulary and I also help students develop techniques for quickly acquiring and remembering new words. I emphasize the need of practicing the use of new words as well as looking at expert models to understand the correct usage. My system for teaching the ACT English section is strategic and rigorous. Unlike the SAT Verbal section, the ACT English section does not require the memorization of a large number of advanced vocab words. Rather, the ACT English section tests one's knowledge of English grammar, punctuation, sentence structure, style, organization, and writing strategy. The 45 minute section test includes a total of 75 questions which fall into two separate categories: Usage/Mechanics and Rhetorical Skills. The test has 5 passages with two question formats--underlines and boxes--throughout. My students gain excellent familiarity with the structure and format of the test through close analysis of sample tests. My students find my explanations of usage/mechanics and writing skills to be clear and concise. In terms of mechanics and usage, I insure that my students clearly understand and are pros on the following concepts: 1) pronoun/antecedent agreement 2) Comma rules 3) who/whom usage 4) apostrophe usage 5) Its/it's usage 6) Parallel Structure usage 7) subject/verb agreement 8) Run-ons and fragments 9)dangling modifiers 10) wordiness and conciseness of expression. As an experienced test prep tutor, I will equip your child to dominate the test! My history and literature background as well as my years of teaching reading comprehension as a certified teacher really come in handy! Unlike the SAT Critical Reading section, the ACT Reading section is more straight-forward and requires less abstract thinking. The ACT Reading section tests one's ability to read and understand what one has read in a more direct, straightforward, and context-specific manner. Like the ACT Math, time is also usually an issue for students on the ACT Reading: the 35 minute section test has 40 questions. There are 4 passages and each passage has 10 questions. 1 of the passages is a prose fiction and the other 3 passages are non-fiction (Social Science, Humanities, Natural Science). ACT Reading questions require students to do the following: 1) identify specific details and facts 2)draw inferences 3) Understanding characterizations of characters 4) Understand point of view 5) recognize cause and effect 6) Recognize the main idea and arguments 7) Determine vocabulary meaning in context 8) Recognize and understand a comparison. My students gain excellent familiarity with the structure and format of the test through close analysis of sample tests. My students find my explanations of the different reading comprehension ideas to be clear and concise. As an experienced test prep tutor, I will equip your child to dominate the test! Having taught as a K-8 teacher, I have a solid grasp of all aspects of English grammar, literature, essay/paper composition, critical reading strategies to ensure deep comprehension, identification and application of text-based evidence, and other high-level critical thinking skills required for all aspects of polished communication in English. As a History and Literature major at Harvard, I learned advanced critical reading and research paper strategies that I am enthusiastic about teaching. In addition to working with Elementary students, I have also tutored and taught high school students in English Language Arts skills. As a Harvard Summer School Tutor, I worked intensely with high school students to help them succeed in reaching the Harvard-standard in their writing. I have also worked intensely as an International Baccalaureate Extended Essay advisor with a student completing the IB Diploma Program. Maya Angelou wrote, "When I look back, I am so impressed by the life-giving power of literature. If I were a young person today, trying to gain a sense of myself in the world, I would do that again by reading, just as I did when I was young." Like Angelou, I love discovering new lands and worlds through books. This love of reading led me to take AP English Literature, take AP Latin Literature, and ultimately major in History and Literature at Harvard College. I studied Russian literature in depth and wrote my senior thesis on the literature of Vladimir Nabokov. As an experienced teacher, I have taught literature to many students. I am experienced in explaining the different types of genres, literary elements and devices, classic plot structures, author’s point of view and much more. I am skilled at helping students write essays about literature. I encourage all of my students to read closely to find evidence for whatever assertions they might make in their essays. Having worked with many students on the SAT, I know how hard it can be to find quality Critical Reading tutoring. My cutting edge SAT Critical Reading method is built upon the following foundations: 1. vocabulary preparation 2. sentence completion analysis strategies 3. "big picture" reading approaches to answer the hardest long passages and double passages. My favorite resource to use is Erica Meltzer's Critical Reader. This book provides a thorough analysis of the different types of reading passage questions and the different strategies for handling each question type. This book also provides well-constructed practice passages which drill the specific strategies. One of my Fall 2014 students made a 200 point increase between the first and second SAT test while working with me. The student increased her Critical Reading score by 110 points in just several months time. I helped this student achieve such a results through an overhaul of her vocabulary knowledge and her long/double passage approach. I am eager to help you pass the TOEFL to be able to enroll in your desired university. I have helped several students prepare for and pass the TOEFL exam. Whatever section you need the most help on--Reading, Listening, Speaking, Writing--I will quickly diagnose and prepare practice exercises so you can master these skills. I have been tutoring several students for writing on WyzAnt. I have also tutored students in writing at the Harvard Bureau of Study Counsel during Harvard Summer School (2008). As an elementary teacher with four years of experience, I have been editing students' essays and papers. One of my Fall 2014 students completely changed perspective and performance on writing after working with me. I showed the student the main features of excellent academic papers. The student went from poor to top grades in a short amount of time. Due to hard work and careful attention, the student was able to make lasting changes in style, grammar, structure, and vocabulary usage in papers. I am still amazed and intrigued by how many different "American" histories there are wrapped up into what we traditionally call American History. As Colin Woodward argues in his book American Nations, there are at least 11 different rival cultures that make America into the diverse place that it is. As a life-long student and historian of America, I feel that the more I learn about world history and European history (especially), the more I understand about my own country's history. Much of American history can be explained in terms of understanding the cultures, conflicts, values and traditions that the people who make up America would bring here. I am particularly interested in the debates and conflicts that have raged throughout our American History about what America should be: a free market, a social-welfare state, a religious city on a hill, an aristocracy, or a slave-based society, among many others. The question of what the founding fathers would believe in or what they would think today is also interesting. I firmly believe that all of my students should have a solid foundation in American History so they can understand life in contemporary America even better. As Edmund Burke said, "Those who don't know history are doomed to repeat it." I believe that a solid, critical, analytical foundation in American History should be a requirement for each and every American citizen. My interest in American History stretches back to fourth grade when I was the first student in my class to memorize all 50 states and capitals. In high school, I received a 5 on AP US history. I have also explored many of the historical treasures and monuments that constitute our American story. Whether your child is in Social Studies, American History, AP US History, or Civics, I am confident that I can help him or her find the passion and curiosity that has motivated me to continue to love American History. I took 4 years of Latin in High School. I received a 5 on AP Latin Literature and a 4 on AP Latin Vergil's Aeneid. I took a Latin course at Harvard, and I took intensive beginning Greek at Harvard too. I tutored Latin at the Harvard Bureau of Study Counsel. I was a History and Literature major at Harvard. I concentrated on the history of 19th and 20th century Europe. I focused on the history and literature of Russia/Soviet Union. My undergraduate thesis is included in the permanent collection at the Harvard Widener library. I also received a 5 on the AP European History exam. When I was in elementary school, I took my Kingfisher' Young People's Pocket Atlas with me everywhere. I learned nearly all the world's countries' capitals and I dreamed of the day that I would travel to foreign countries. As a licensed teacher, I use research-based techniques for the teaching of geography. I foster an overwhelming passion for the world's continents, countries, and natural resources in my students. Through my background as a educational technology specialist, I make foreign countries come alive. My training in History and Literature, Social Studies teaching experience, and first-hand travel makes me highly qualified to tutor your child in Social Studies. I majored in History and Literature at Harvard. I concentrated on the history of 19th and 20th century Europe. I focused on the history and literature of Russia/Soviet Union. My undergraduate thesis is included in the permanent collection at the Harvard Widener library. I also received 5s on both the AP US History Exam as well as the on AP European History Exam. I have traveled and visited the national treasures of the following countries: US, Spain, France, Germany, Russia, Turkey, and Bulgaria. I majored in History and Literature at Harvard. I studied specifically Russian History. I took both AP European History and AP US History in high school and received 5s on both. I have traveled extensively throughout Europe and the Middle East. I have taught algebraic concepts as a certified, experienced teacher. I received a perfect 800 on my SAT math. I have tutored several students on either the Math SAT or the Math GRE. I completed AP BC Calculus in high school and was an active member in my high school's math club for 4 years. I received the highest score on the AMC 12 during my senior year of high school. The beauty of algebra is the logic and rules required for solving equations. The study of algebra also teaches one to identify patterns as well as solidify their skills in basic arithmetic. I love teaching students to enjoy the thrill of solving algebraic equations and plotting graphs. I look forward to passing on a contagious enthusiasm and passion for algebraic problem-solving. My system for teaching Algebra 2 is strategic, rigorous, and fun. The logic and beauty of Algebra naturally make my work with students fun and engaging. My 4 years of high school math club, perfect 800 SAT Math score, 5 on AP BC Calc, and tutoring of high school algebra all come in handy when I work with students. Students find my explanations clear and concise. I demand mastery from my students in the following areas: Laws of exponents, Properties of Radicals, Factoring and Special Factor Patterns (such as Difference of Squares and Perfect Trinomial Squares), Quadratic Formula and Complex Numbers, Distance Formula/Slope/Point-Slope Form/Y-Intercept Form, Summary of the major Types of Functions and their graphs, and Logs. I am confident that I can help your child master all the concepts of Algebra and fill any missing gaps/concepts. More importantly, I can help your child see the beauty of Algebra. I took classical piano lessons for 10 years from age 9 to 18. I also played as a semi-professional piano accompanist at various Catholic churches for 10 years from age 12 until 22. I have also played as a keyboardist in a pop cover band for two years. In classical piano recitals I have played both Rachmaninoff's Prelude in C# Minor as well as the third movement of Beethoven's Moonlight Sonata. I received a perfect 800 on my SAT math. I have tutored several students on either the Math SAT or the Math GRE. Although I am a History and Literature major, I did AP BC Calculus in high school and was an active member in my high school's math club for 4 years. I received the highest score on the AMC 12 during my senior year of high school. One of my Fall 2014 students made a 200 point increase between the first and second SAT test while working with me. Unlike the SAT Mathematics section, the ACT Math section covers a larger amount of content but does not require the level of sophisticated problem-solving that the SAT math does. The ACT Math covers a student's knowledge of the following topics in the following percentages: 23% pre-algebra (basic arithmetic calculations, exponents, fractions/ratios/proportions, very basic probability and statistics), 17% elementary algebra (such as algebraic equation solution through substitution, square roots and exponents, solution of quadratic equations through factoring), 15% intermediate algebra (quadratic formula, complex numbers, absolute value, etc), 15% coordinate geometry (graphing of equations, slope, distance formula), 23 % plane geometry (property of geometric figures), and 7% trigonometry (sine, cosine, tangents, etc). The 60 minute section test includes a total of 60 questions. ACT Math multiple choice questions have five answer choices (not four). There are two question types: basic problems and word problems. My students gain excellent familiarity with the structure and format of the test through close analysis of sample tests. My students find my explanations of pre-algebra, algebra, geometry, and trigonometry concepts to be clear and concise. In order to be successful on the ACT Math, students must review a large number of topics, formulas, and concepts (usually covered in several years of middle school and high school math classes). I help my students quickly pin-point those topics that they need to brush up on. Additionally, since many students find the number of questions for the allotted time to seem very large, I work extensively with students on how to pace oneself and anticipate the difficulty of problems (easy problems are "roughly" first and difficult problems are later). Other ACT Math strategies include, but not limited to, the following: 1) use of calculator 2) taking notes and solving problems in the test booklet 3) approaching answer choices wisely 4) different methods for solving different types of problems 5) recognize problems that have shortcuts. As an experienced test prep tutor, I will equip your child to dominate the test! I worked with high school seniors while I was a tutor and proctor in the Harvard Summer School. I advised students about life at Harvard University and I helped them think about their options for the future. I discussed the application process for getting into Harvard and universities in general. When I was in high school, I also tutored other high schools so they would be college-ready. Through my process of elementary teacher certification through the state of New Hampshire, I studied how best to teach students with ADD/ADHD. I learned more about how to help students with ADD/ADHD when I completed my master's in school leadership at Harvard Graduate School of Education. Having worked as an elementary teacher, I have classroom experience working with students with ADD/ADHD. I approach each student individually. These students showed some of the following behaviors: disorganized, forgetful or unaware of deadlines, behavior inconsistency, lack of maturity, difficulty concentrating, daydreaming, less open-mindedness about disliked activities, disruptive outbursts, inability to sit still, fidgety, inability to listen, talking without stopping. I have found that work on the computer is perfect for differentiation because many students are highly engaged by the graphic interface of computers. Also, computer programs allow the level of engagement or even the entire activity to be adjusted to the students. Whenever I give an assignment during class time, I monitor all the students intensely to make sure that the activity is engaging and at an appropriate level for all students. If a student does not understand it, I will use a strategy from another learning style or change my vocabulary choice, or make some type of demonstration on the board until the student understands the assignment and is comfortable with what is being expected of them. Through my process of elementary teacher certification through the state of New Hampshire, I studied how best to teach students with dyslexia. I learned more about how to help students with dyslexia when I completed my master's in school leadership at Harvard Graduate School of Education. Having worked as an elementary teacher, I have classroom experience working with students with dyslexia. Each and every child is unique and has different learning needs. I take the time to get to know every student I work with. I am familiar with the Orton-Gillingham reading method and I have adopted its principles into my work with students. I have found that all students benefit from my use of different teaching techniques: combining verbal and visual directions and clues, using and repeating clear directions, using step by step explanations, using graphic organizers, using an audio recorder, block out unnecessary distractions, using supplementary lecture notes/glossaries, among many others. I am confident that I can help your child make great progress and achieve their academic goals! In September and October (2014), I worked with a student from Wyzant on prepping for passing the Math HISET/GED. After only two months of intensive work, the student passed the Math HISET/GED on the first try. My unique tutoring method centers on discovering gaps in fundamental concepts. I work patiently and creatively to explain these concepts and build mastery so my students can achieve success on the test and in life. I have taught for four years in an independent school authorized by NEASC (New England Association of Schools and Colleges) and so I know the rigor of instruction expected in independent schools. I am very familiar with the content of the different levels of the ISEE exam. I have helped many students in test prep over the past 3 years. I took and passed the Praxis 1 and Praxis 2 (Elementary Education) during the teacher certification process in the State of New Hampshire. I also received a Recognition of Excellence award for scoring in the top 15% of Praxis 1 test takers. I am quite familiar with both tests. Dan has been tutoring our children for several years and we could not have found someone more capable, patient, and good-humored. He has tackled everything from middle school math up through high school biology, physics, English, history and Latin. He's amazing. Critical reading is my son’s weak skill on the SAT. Daniel analyzed my son’s error patterns and had him do a series of problems while focusing on the problematic sections. My son’s mock test scores improved a lot. Having just taken his test, my son feels confident in his performance. We feel that the lessons definitely helped him improve upon his reading and writing skills a lot. Daniel is a focused, fantastic teacher patient, and overall! When I first started looking for a tutor for the GRE, I didn't expect much. I just wanted someone to review a few math problems with me in the hopes that by the end I would be marginally better equipped to handle the math section. However, Daniel was awesome and far exceeded my expectations. He didn't just show me what the right answers were but instead carefully explained his methodology and then made sure I understood it. He was super attentive to the way I learned and tailored his lessons to my needs. Having done 5 lessons with him, I feel like I understand what I still need to study/how to do it and am ready to take the test! I would 100% recommend Daniel. Daniel helped me build a personalized set of problems to work on improving my quant score. He shared with me a few strategies for improving my verbal score as well. He is focused on improving your score and does not waste any time doing that! Daniel has been very helpful with two of our children; one in history and the other in math. They both benefited greatly from their time with him. Daniel is patient, thoughtful and knows how to collaborate with kids to help them get to the answer without being prescriptive. I highly recommend him! In preparing for the GRE, I took a Kaplan course but was not pleased with my score on the test. Once I decided I would retake the GRE I searched for a tutor and found Daniel. After six sessions with Daniel, I was able to boost my verbal score 10 percentile points and feel much more confident going into the essay portion of the exam (we did not work together on the quantitative section so I can't speak to his tutoring on that portion). Daniel was always on time, well prepared, and easy to work with. He allowed me to choose the things I wanted to focus on and provided targeted advice and incredible insight into the ins and outs of the exam. I would strongly recommend Daniel as a GRE tutor to anyone looking to improve their performance and feel more confident in their test taking abilities. Great tutor - very responsible and flexible! Daniel did a great job working with my daughter, helping her to better structure her argument writing. He tailored each individual lesson to make sure it held her interest, and he was able to keep her engaged. He made the process of writing fun for her, and she gained a lot of valuable tools. He was very responsible, responsive, and flexible when it came to scheduling and lesson planning. I would highly recommend Daniel. Daniel tutored my son, once a week on AP US History for about 7 months. Before we hired Daniel, my son was struggling with history. After Daniel's patient and consistent assistance on DBQ's, multiple choice questions as well as short answer questions, his confidence level as well as his grades went up considerably from an average of a C- to a solid B by the end of the year. We are hoping his AP score will also reflect this. 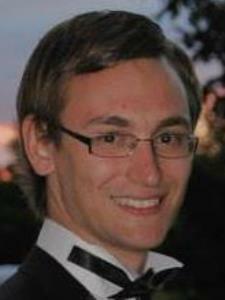 Daniel is very knowledgeable and a very good tutor. I would strongly recommend him for AP US history tutoring. . I've been dealing with Daniel for almost a year teaching my two boys, Daniel was always top in class. He was so professional, patient and fun! He expanded my children's visions and knowledge and that what an outstanding teacher does! He was always on time, very organized and very creative in delivering the information. My boys love him and we are so happy to have Daniel in our lives as a caring, responsible teacher! !